Ioana is a lawyer at Williams HR Law where she practices all areas of management side labour, employment and human rights law. Ioana provides advice and representation to employers on a broad range of issues, including: employment agreements, employment standards, termination advice and strategy, wrongful dismissal litigation, human rights and accommodation, labour board proceedings, privacy, workplace safety and insurance and workplace investigations. 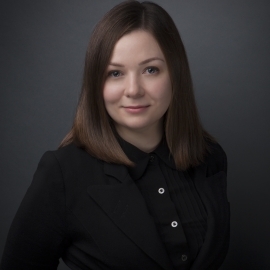 Prior to joining the firm, Ioana gained experience managing a high volume of employment litigation matters at an HR law firm and applies this experience in advising employers on how to minimize risks proactively in the workplace. 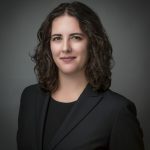 Ioana is a graduate of the French Common Law Program at the University of Ottawa where she was an Assistant Editor on the Ottawa Law Review, a Research Assistant in health law, and a Student Fellow at the university’s Global Health Law Clinic. Throughout her law studies, she worked at the Headquarters of Correctional Service Canada in offender rehabilitation and education programs. 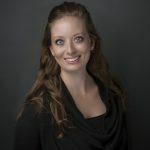 Ioana holds a Master of Arts in Translation Studies from Glendon College, York University and an Honours Bachelor of Arts in Political Science, French, and Spanish from the University of Toronto. She is fluent in French, Romanian, and advanced Spanish, and aiming to improve her German. Ioana enjoys being a member of the Women’s Law Association of Ontario and reading about current affairs and the evolution of the law.